Cover Reads: Who-Knows-How-Many Years Of Yoga & They Still Can't Even Lick Their Own Behinds. Inside Reads: Another Year Behind You. Happy Birthday. When you look at your pets, you may think they look cute and adorable. But unless you are a pet psychic, you don't know what they are thinking. But we definitely know they have different standards of cleanliness. Cats have no problem giving themselves a bath by licking their own fur. We don't want to lick our own bare skin, much less our hairy parts. 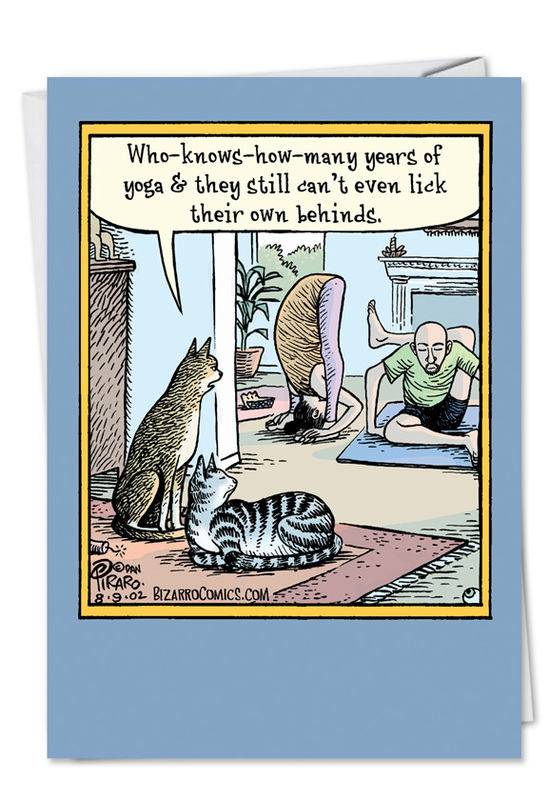 Dan Piraro, the creator of "Bizarro," has a good insight into cats' thoughts - we think. We sure hope he's right, anyway. 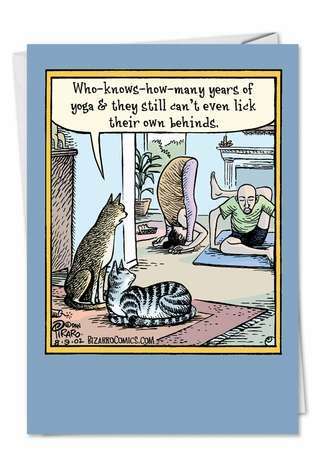 His take on cats observing yoga makes for a funny birthday card perfect for anyone who enjoys cats, yoga or any combination thereof. 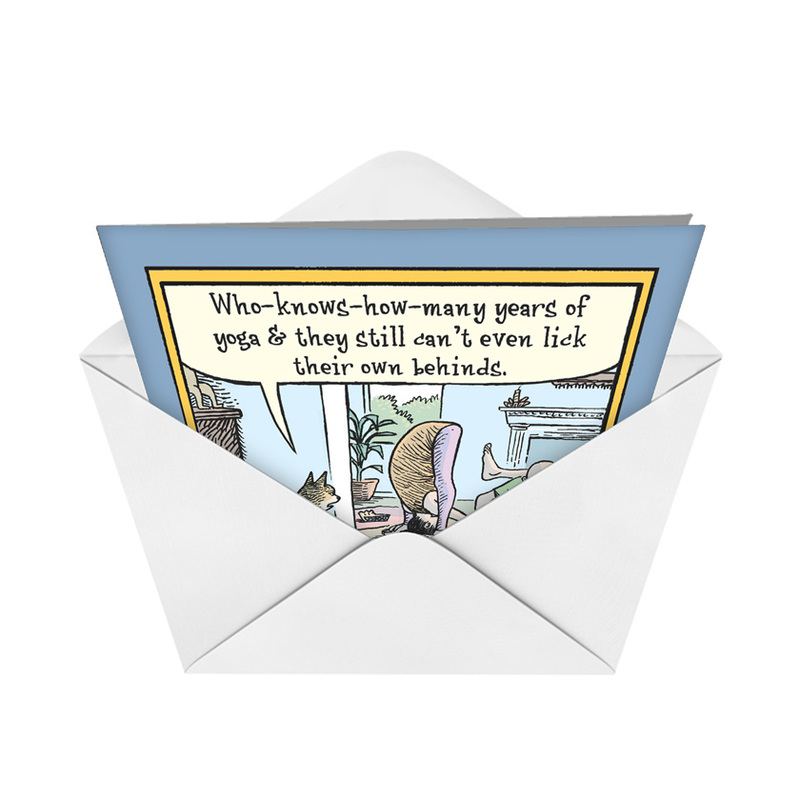 Thanks to NobleWorks Cards, you can find this hilarious birthday card and many more by Piraro. Your yoga-loving friends will appreciate the thought that you put into their birthday cards and everyone will share hearty laughs. Finding the right card for that �€œhealth but�€ can be difficult. This card hits the mark! Ordered 10/15 & have not received order. Left 2 messages for update on my order. No reply yet. 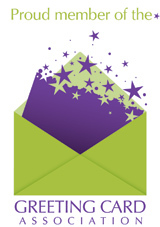 Hope to get a message soon. I needed the card today 11/6.